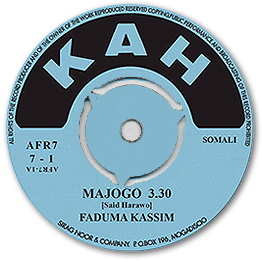 One of the great Somali female vocalists of her time was Faadumo Qaasim, from the Benadiri ethnic group. 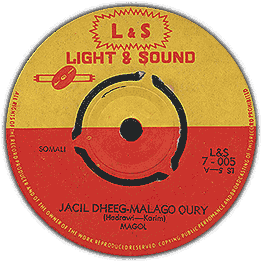 She passed in 2011 but the composer Said Harawo is to this day still living in Mogadishu and working at the National theatre of arts. Though constant menacing threats of the Al Shabaab towards music and culture, it’s sad to say the fear has put restrains on his movements. He rarely leaves his house these days. The song Majogo means I am not here. It’s a love song. She is singing how she is unavailable for love. At the same time she says “I am so in love with you my body aches” Another classic case of being love sick. So instead of welcoming love, she would rather chase it away.Berflasana is sung by another artists who is sadly not among us anymore. Ahmed Sharief Yusuf, also from the Benadiri tribe with roots in Yemen, where he relocated after the civil war. Berflasana means we are going to farm. 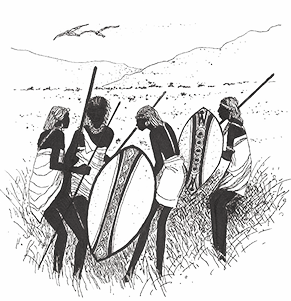 Somalis are typically nomad culturally, where farming is very limited. Back in 60s and 70s the government introduced programs to promote farming. This song talks about the pros and cons of farming. It says that we are going to farm if we want food. If we don’t farm we going be depend hand-outs or aid. This single is now available again from afro7.net. head over to the shop and grab your copy. Special thanks to Keynaan Cali for the translations!